Editor’s note: The off-Broadway production of ‘Newsies’ opened 7 years ago today on Sept. 25, 2011. NEWBURGH, Ind. (SEPT. 25, 2018) – Known for the songs “Carrying the Banner,” “Seize the Day” and “Sante Fe,” the Disney musical “Newsies” will be selling its ‘papes’ in Warrick County this summer as the 23rd Warrick County School Corporation and Warrick Public Education Foundation summer musical from July 18 through July 21. For the second year in a row, the production will make local history as the first area organization to present the show. Thanks to new licensing agreements, the Warrick production of this 1992 movie and 2012 Broadway production will be presented using gender-neutral ‘newsie’ casting allowing both males and females to be cast as the iconic newsies. Based on the true story of the 1899 newsboys strike, the musical tells the story of the charismatic newsboy Jack Kelly helping organize the teenage newsies against a price increase by Joseph Pulitzer and the titans of the New York newspaper industry. The newsies bring kids together from around the city to protest and strike against unfair conditions. Auditions will be announced after the first of the year. Additional sponsors are needed to produce this show. “As a Social Studies educator, I also believe in the representation of women in US History: making sure the stories of women and girls in our history are included is extremely important to me,” Amanda Antey said. This year’s production is presented by Thacker, Charnes, Stowe and Associates, a private wealth advisory practice with Ameriprise Financial, Inc and Jennifer Casten-Juhl, financial advisor with Ameriprise Financial. The Warrick Summer Musical is a partnership of Warrick Public Education Foundation and the Warrick County School Corporation. Sponsors and advertisers are needed for the Warrick County Summer Musical. Information is available on the website at http://www.warrickmusical.org. Information about the Warrick Public Education Foundation can be found at http://www.WarrickPEF.com. 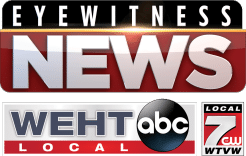 Media sponsorship includes WIKY radio and WEHT/WTVW television and TriStateHomepage.com. Ticket information and additional on-sale information will be provided in June, approximately one month prior to the show. Disney’s Newsies The Musical. Music by ALAN MENKEN. Lyrics by JACK FELDMAN. Book by HARVEY FIERSTEIN. Based on the Disney Film written by Bob Tzudiker and Noni White. Originally produced on Broadway by Disney Theatrical Productions. Orchestrations by Danny Troob. Incidental Music & Vocal Arrangements by Michael Kosarin. Dance Arrangements by Mark Hummel. Newsies is presented through special arrangement with Music Theatre International (MTI). All authorized performance materials are also supplied by MTI. Founded and incorporated in 1992, the Warrick Public Education Foundation operates as a 501(c)(3) philanthropic organization to enhance education by supporting imaginative programs and projects. It is a non-profit broadly-based partnership in education established to encourage, promote and assist educational excellence in the Warrick County School Corporation. The private wealth advisors at Thacker, Charnes, Stowe and Associates provide financial advice that is anchored in a solid understanding of client needs and expectations, and provided in one-on-one relationships with their clients. For more information, please contact 812-858-7526.